Technology and media companies were among the early gainers Wednesday. Nvidia, a chipmaker, climbed 1% and Dish Network added 1.6%. Delta Air Lines, the first major U.S. company to report first-quarter earnings, rose 1.5% after turning in results that easily beat analysts' forecasts. Levi Strauss also rose after turning in a solid quarter. The S&P 500 index rose 4 points, or 0.1%, to 2,882. 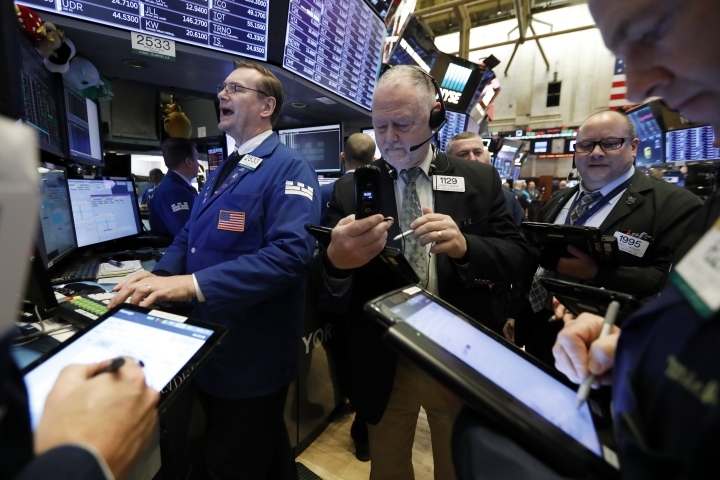 The Dow Jones Industrial Average rose 42 points, or 0.2%, to 26,195. The Nasdaq added 11 points, or 0.1%, to 7,919. Bond prices rose. The yield on the benchmark 10-year Treasury fell to 2.48%.